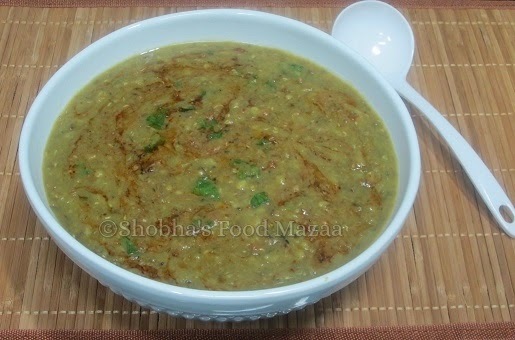 This is a traditional Sindhi dal cooked with split or whole green moong. We use lot of crushed garlic to temper this dal. It is usually served with phulkas. 1.Wash and soak dal for 2-3 hours. 2. Boil it in a pressure cooker, adding tomatoes, green chillies, salt and turmeric powder till done and mash it. 3. Heat oil in a pan, add the crushed garlic. Saute till golden brown. Remove from the gas and add the cumin and chilli powder. Mix it immediately with the prepared dal. Garnish with chopped coriander leaves. Just stumbled on your blog. You have some pretty good recipes, I especially love all the sindhi ones you have. Why dont u register at TOI to give more visibility to your blog ? 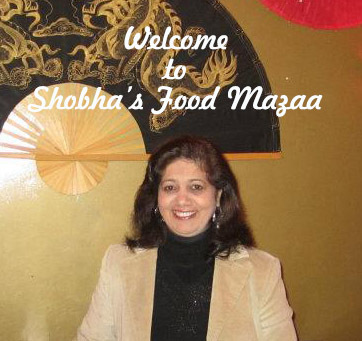 Thanks Shobha for linking the healthy dal to the event. hi shobha, really commendable, the way u have put yr hobb to good use...nice recipes too, keep t up! !all the best!! A lovely comforting dish. I bet it would be good with some bread dipped in to it too. I love hearty dhals like this. perfect with rice or rotis. Thanks Nayna.. I am a dal lover too.. anytime my first preference. Its an all time comfort dal and so easy to make.